It’s no secret I love the Lush Bubble Bars. 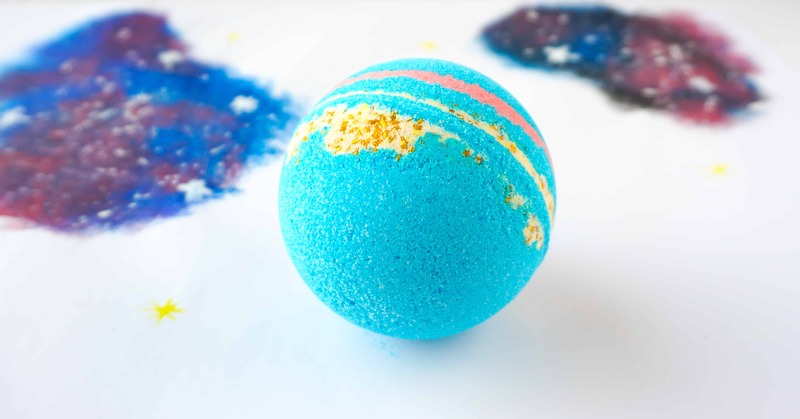 Gorgeous scent, pretty color and lots and lots of bubbles. I have now made it one of my life goals to try each and every one of them in every color and scent. 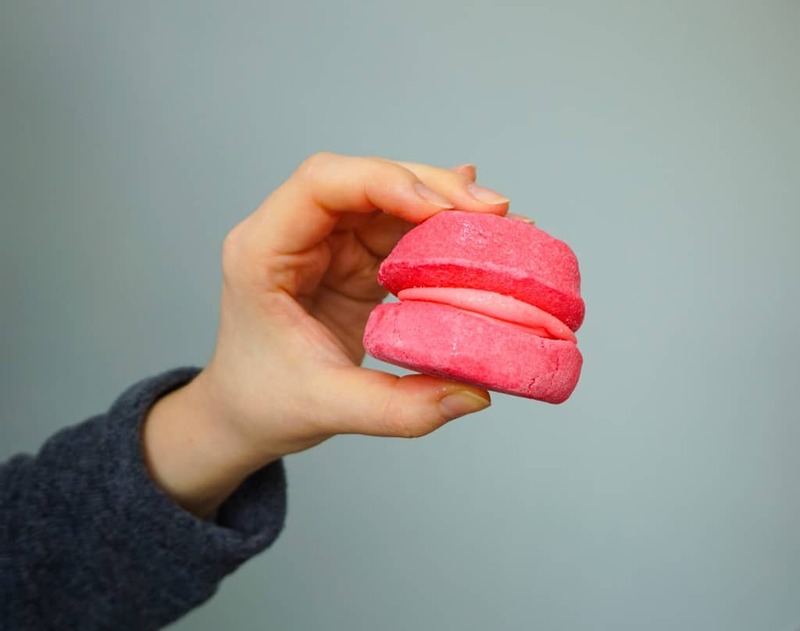 As I was writing my review for The Comforter Bubble Bar, I kept typing “Bubbleroon”. I had seen the name in the Lush store and I thought it had a nice ring to it. I kept confusing the two. But there is in fact an important difference. So on my quest to discover more bubble greatness, I decided to buy the Rose Jam Bubbleroon at my next visit to Lush. 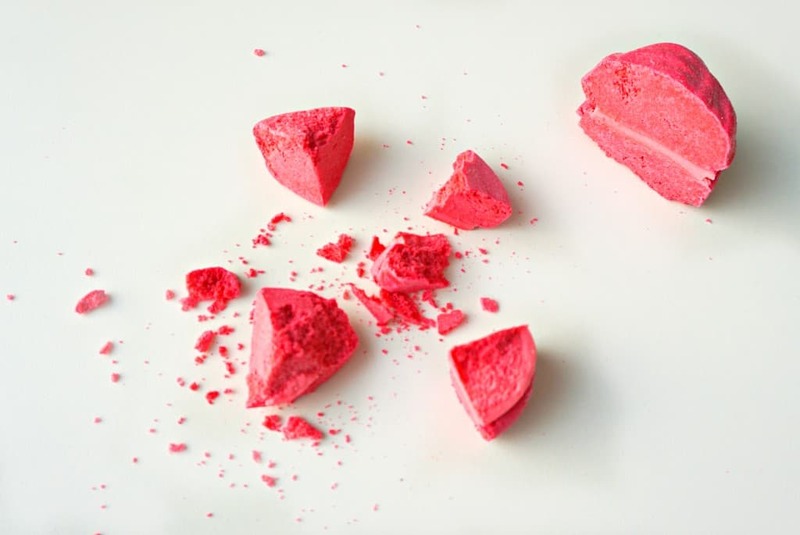 One of the things I love about the Bubble Bars is the fact that you can crumble it into smaller pieces. Therefore the first thing I did when I got home was try to cut the bubbleroon into smaller pieces. Cutting it in half was a success, but as soon as I tried cutting it into 4 pieces it started to crumble. 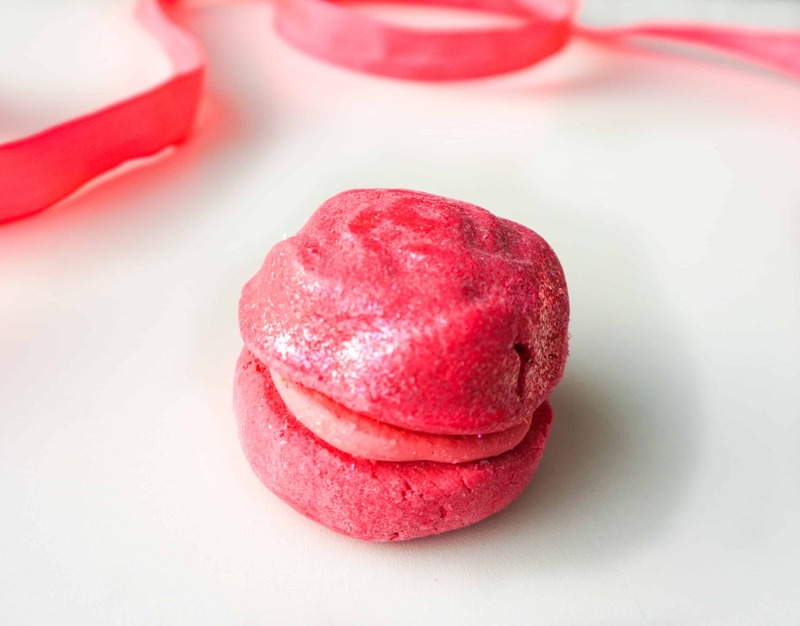 The bubbleroon consists of two bars ‘glued’ together with some sort of pink paste. I didn’t even notice the top part was supposed to be the shape of a rose until I went through my own pictures. I think that’s because it’s covered with a thick layer of chunky glitter. Since I had lots of crumbly pieces, I decided to try the bar and paste separately. My conclusion is that they both do the same thing: turn your bath water pink and create lovely bubbles. Time to try the real deal. First I threw the larger chunk in the bath tub to see what would happen. In short: nothing. Then I crumbled it under the running water and as by magic bubbles appeared. The bath water turned a beautiful deep coral pink, much more so than The Comforter bar. It didn’t make close to as many bubbles as the bubble bar though. Also the glitter on top of the Bubbleroon was nowhere to be seen in the bath water. 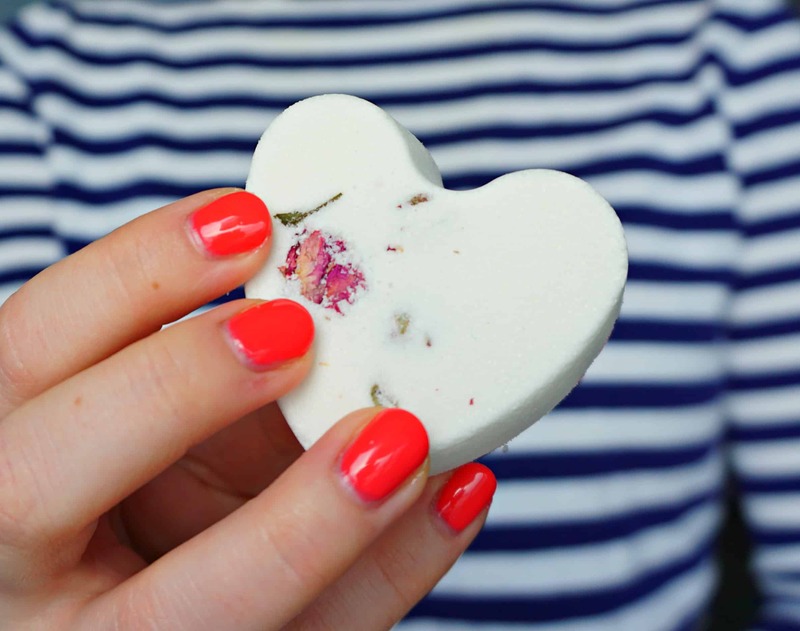 Where the bubble bar is all about getting plenty of product for your money, this is an indulgent item. It’s pretty to look at sitting next to your bathroom tub. And it’s an awesome gift all on its own. A bubbleroon is what you need after a long, hard day. Leave it in one piece and use it when you’re ready to soak in pink heaven.